We are very grateful to Wyong Council . They have provided us with a grant which has enabled us to start out bereavement group. It will be the first of its kind on the Central Coast, involving both children and the remaining parent/partners. We have had lovely offers from volunteers and all staff involved are excited to get started. If you are interested in sponsoring a child through this process, or if you would just like to contribute to our programs; please go to our donate page above. Call us now and talk to our experienced advisors about our wide range of family support services. 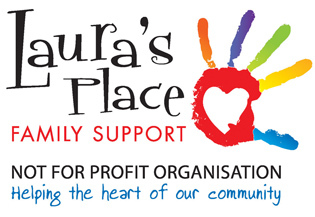 Subscribe to Laura's Place Family Support Newsletter for all the latest news & information.